Are you ready to take the next big step in your business? Are your products selling well? Do you have a good customer base? Do you feel confident in what you do? If you answered yes to all those questions, well it sounds to me like you are ready to take the next big step. You are ready and hungry to go forward with your business. Over the next few weeks I have some fabulous blogs for you, written by some really inspirational women, who have created extremely successful craft businesses. These ladies lead very busy lives and I am just amazed and honoured that they would want to take time out to let us in for a sneaky peak at their lives. Describing to us all how they made it happen and how they built their small businesses up to what they are today. Thriving little enterprises! Snapdragon was started in 2000 when Jane left her job as Curator of British Art at the University of Glasgow. 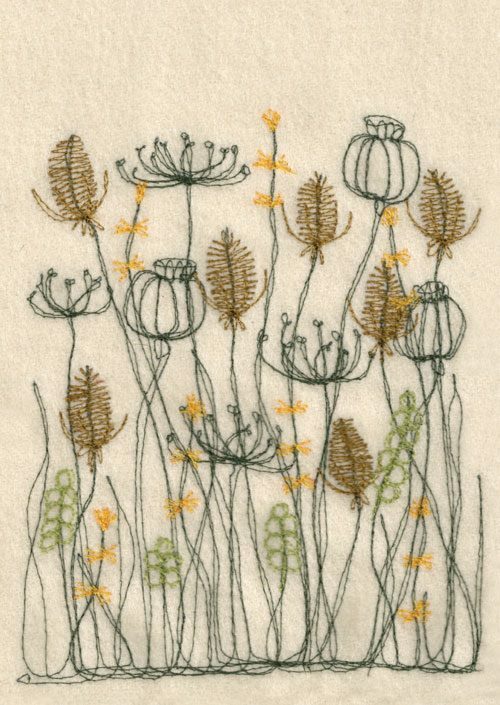 She started off growing cut flowers but soon realised that that was too seasonal in Scotland and began to create freehand embroideries based on life in her garden. 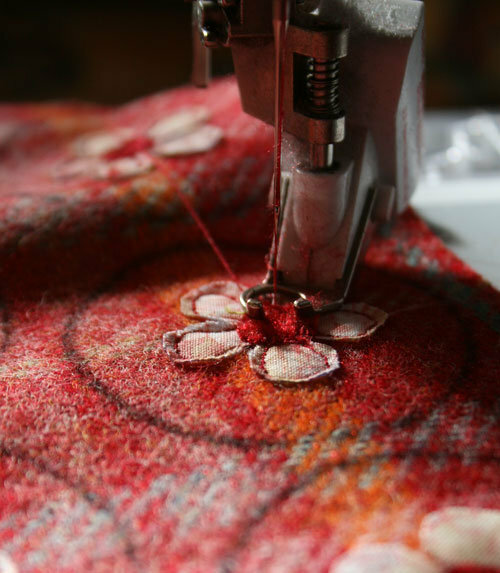 Jane describes Snapdragon as a quirky little British business that has been sewing things and growing things in the Scottish countryside since 2003. 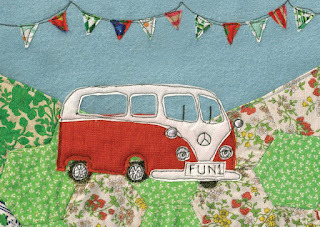 Jane designs badges, brooches, handbag mirrors, notebooks, cushions, doorstops and beautiful bespoke pictures. 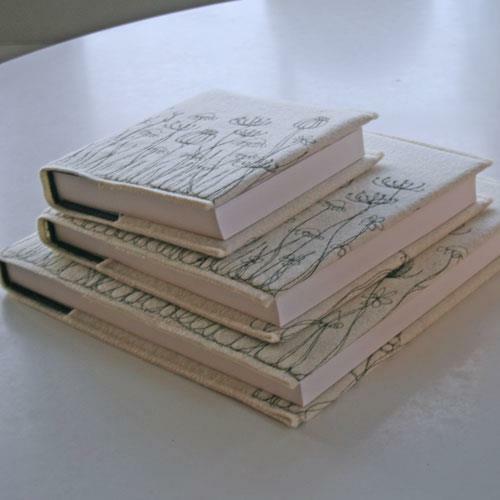 She was also a finalist in Designer/Maker category at the Make awards 2011. You can find Snapdragon pieces in over 250 stockists in the UK. Ali has asked me to write a few paragraphs about taking a business from hobby to the next stage in the hope that it might help some people who are wondering whether that is the right thing to do. Snapdragon – my textile business – began as a bit of a slow burner, I initially started it in 2003 to fill in the time when I wasn't growing flowers, and I poddled along happily enough, sewing at the kitchen table and selling at craft fairs until December 2007. I had small children, I was ill with a chronic immune disorder, there were many reasons not to expand the business. Then I found myself talking to a woman at a craft fair – she was encouraging me to sell to shops, I was giving her a list of reasons why I couldn't do that. As she walked away I realised that I had been talking nonsense, my children had both started school, my illness had been diagnosed and was being treated, it was really just fear that kept me constrained. I immediately began plan out how to expand the business and move into selling wholesale. The single most important thing to do is to work out pricing and whether you can afford to sell wholesale. Shops expect to double your prices and then add on VAT - so something that you charge shops £10 for will retail at £24. If you cannot make your prices work, if you cannot cover costs and labour, do NOT try straight wholesale selling. If you end up selling things for less than they realistically cost you to make then you will make a loss, and the more orders you get the more of a loss you will make. Remember to do very accurate time trials on how long it takes to make something and price things up as though you are employing someone else to make it – it is very easy to fudge how long it takes to make something – to forget about the glitches, the snapped needles, the spilt glue – just because we all want to be able to make it work. There are many ways to sell to shops but I only have experience of Trade shows – I am rather shy and the idea of visiting shops myself fills me with dread. Having decided to book up a trade show I took advice and chose Top Drawer Spring in London, exhibiting there for the 1st time in January 2008. At a Trade show you rent a stand and display samples of your range, potential stockists visit, take details and hopefully order. 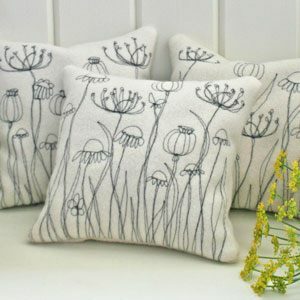 Pick your show carefully – Top Drawer and the British Craft Trade Fair in Harrogate both attract buyers who appreciate handmade items. The cost of a stand at Top Drawer is approximately 350 per m2 and stands start at 2 x 1 metres. This year there was also a new section aimed at designers who had not exhibited before – a curated area called Spotted – where a table top type space was available at a much reduced rate. You just need 1 example of everything you make, a price list/order form, a big smile and flat shoes. Remember to take details of everyone you talk to so that you can contact them after the show. 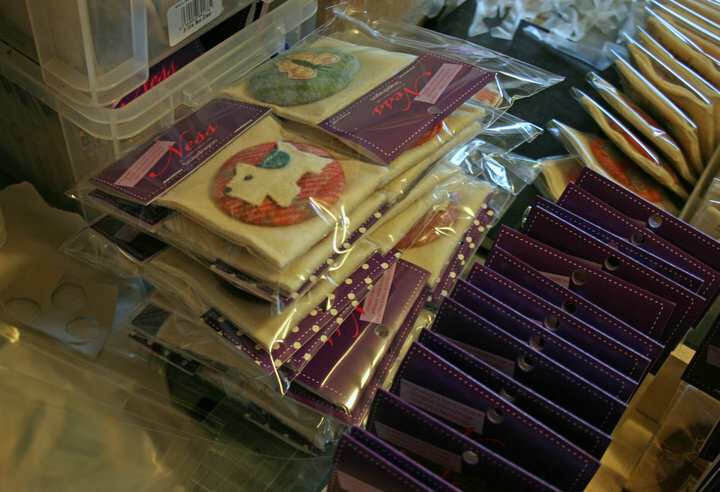 Many people do not place orders at shows, but work on putting orders together over the next few weeks. I got 40 orders from shops at my 1st trade show. It was very clear that I could not do that on my own within a realistic time scale so the first thing that I did when I got home was advertise for a member of staff. I decided that I would employ someone to do all the straight sewing and that I would continue to do the freehand embroidery myself. I now have 3 members of staff in the Snapdragon team – and have therefore managed to delegate out all admin, packing, and prep while keeping the bits I love - the embroidery and the business development. By no longer doing the things I dislike or was bad at, I have upped productivity by over 700% with a staff hours increase of 300%. I also use freelancers to provide skills we do not have inhouse – accounts, graphic design and computer maintenance are all done by freelance professionals. I also moved the business out of the house – first into a caravan and then ultimately into a purpose built workshop behind the house. This helped me treat the business as a proper business, not a hobby and I think that is the key to taking it to the next level – you have to believe in it yourself. And if you can't afford to Wholesale? If the figures don't work out for straightforward wholesale – does that mean that you can't expand your business? Not at all. There are another couple of options (aside from selling direct to the customer yourself) – Firstly you can approach shops and galleries on a Sale or Return basis. The benefit of this is that the cut that the outlet takes is smaller – typically 35% of sale price though it varies a lot – the downside is that you maintain the risk, there is more admin involved and you run the risk of everything being returned. Secondly you can sell through an online marketplace website. I sell through Not on the High Street www.notonthehighstreet.com where customers can access a wide variety of different shops through one website – adding things to a single basket and paying for them in one transaction. Each seller is then responsible for sending the items bought directly to the customer. Not on the High Street charges an initial joining fee (approx £500) and a percentage of sales (approx 25%) - in return they market the site aggressively through Google, through affiliate programmes, catalogues and tv adverts. The site caters predominantly to people looking for personalised gifts. 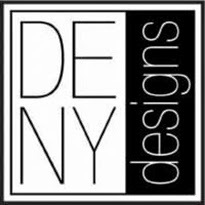 It has brought my work to the attention of many more customers than I could hope to attract to my own website. Over the past 4 years I have redesigned and redesigned my range to make it much tighter, more coherent in colour and motif – this helps with production but has also been popular with customers who turn out to be flummoxed by too much choice. I have learned that some products are too much hassle and have discontinued them. Its a continuous process. 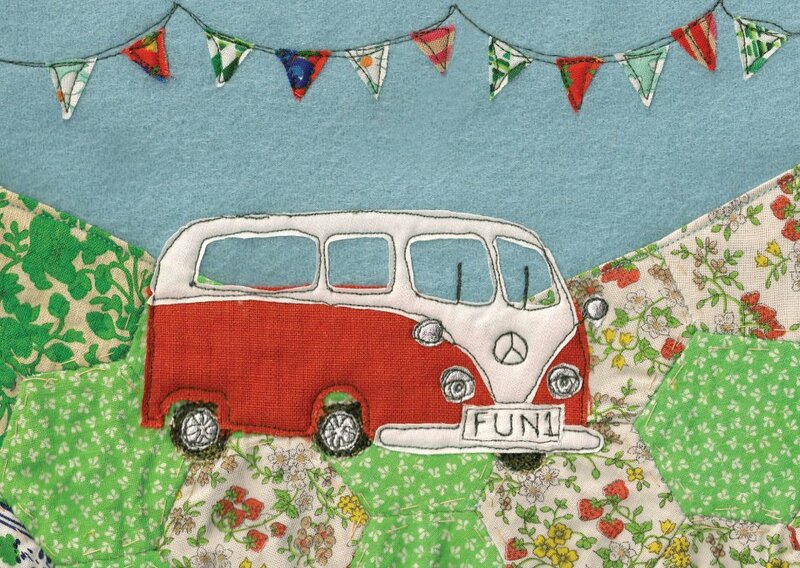 By 2006 it was clear that I would need to have some products for sale that I was not physically making and we decided to produce a range of printed items – we now sell postcards, cards, gift wrap and tea towels printed from my original embroideries. I investigated getting agents to sell these for me but, as we already had a good network of stockists, I could not make the figures work once the agent's cut (on everything sold within their area, not just the things they sell) was taken into account. We therefore sell these alongside our made items in exactly the same way. One of the questions Ali posed was how do I approach magazines – and that is a difficult one as I never have. I have been featured in several glossy magazines and newspapers but they have all come to me, largely from having come across my blog. I think that having a blog and a good story, putting lots of photos up on Facebook, helping people out and so on all raises your profile and magazines are constantly on the lookout for people to feature. I'd also say read anything by Seth Godin as he makes you think. Stay true to what you do and don't do – work out what you stand for and stick to it. Learn to tell the story of your business – customers love connection, people love to know the background of what you make. Don't try to make yourself seem corporate. Remember balance – there is not much point in stating your own business if you end up hating the work, never seeing family and friends of working long hours into the night for little return. If you don't have skills yourself find someone who does – accountants, graphic designers, etc – aim to eventually be doing only the things that you alone are a master of. I don't know about you lot, but I am truly inspired after readding that. Phew!! If you would like to comment on this blog, and we would love you to. Please post below or on mine or Janes Facebook page directly. See you on Sunday where we will have Becky from Dots and Spots guest blogging for us about how she took the next big step! It's brilliant. Jane really stands out not only as an inspirational business woman but so generous with help and advice on her blog and FB - what a great reputation to have achieved. Hi Lidia - I think that where I differ a bit is that I've always being interested in expanding the business and working as a team with others, providing local employment and so on. In some ways that goal has shaped the business more than the actual making. Full of useful advice as always Ali and Jane. Thank you for sharing your story. I think so may of us can relate to the beginning and your doubts/excuses so very well. A really interesting post. 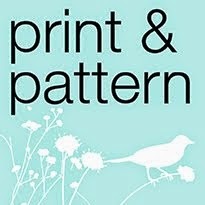 I love Jane's work and have been reading her blog for a couple of years. It is always fascinating to learn how other businesses start up and progress! I don't make I write but your story applies just as much to a writer or anyone starting out selling themself. Treat it as a job not a hobby, take it seriously and other people will take you seriously too. Jane is one of my craft heroes, her business is such an inspiration and this was a really useful post. Thanks so much for organising this series. Thanks for all these lovely comments - I am quite overwhelmed - and I'm always happy to answer anything that I can help with - snapdragonjane@googlemail.com. Fabulous post Jane - love your work and some brilliant tips.